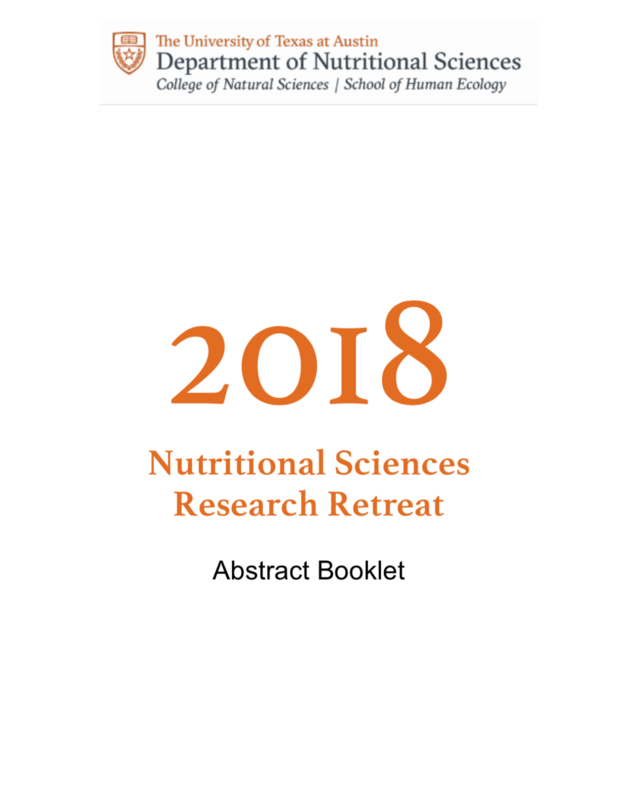 With a new Data Blitz activity, this year's Nutrition Research Retreat proved even more engaging and interactive than the last. The program commenced with a talk by the newly appointed Dean of the College of Natural Sciences Dr. Paul Goldbart, who outlined his personal background in the sciences, shared academic advice, and managed to elicit a few chuckles. Despite his busy schedule, Dr. Goldbart stayed for the welcome talk by Department Chair Dr. Molly Bray, who highlighted the progress and future goals of the program. Members of the faculty then took turns discussing the topics of their research, the graduate students with whom they work, and the courses they teach. Following a lunch break, Dr. Freeland-Graves recounted her experiences directing the Study Abroad program, sharing pictures taken around the world and explaining the requirements for admission. Next came the highly anticipated Data Blitz, an activity requiring all post-candidacy graduate students to present the background, methodology, and findings of their research project in a hasty two minutes. Although rumor had it that some students were dreading this event, the participants ended up introducing their projects with enthusiasm and a little humor. While good practice in concision for the students, the activity proved even more instructive for the faculty, who may not have otherwise been aware of all the students' projects. Any anxiety surrounding the data blitz soon gave way to excitement as the faculty and students turned their attention to the next topic of the Research Retreat—the research. Undergraduate and graduate students hurried towards their posters and prepared to explain and defend their latest findings. At the same time, faculty and guest judges scrambled to visit their assigned posters, challenge the students with thoughtful questions regarding the research, and score the poster presentations. Of course, the students also found time to visit the posters of their peers and submit a vote for their favorite presentation. Soon enough, the hustle and bustle of the poster session died down in time for another round of faculty presentations. This time, Dr. Sara Sweitzer updated the department regarding the new and growing Online Master's Degree program, launched in Fall of 2017 . Diane Papillion then discussed the merging of science and nutrition in the very popular and sold-out courses of Susie's Kitchen, a community-based series of culinary courses. With several undergraduate attendees in the room, Dr. Ladia Hernandez also took the opportunity to discuss the requirements for and benefits of participation in the research-intensive Honors in Advanced Nutritional Sciences undergraduate degree track. Finally, Drew Hays described her efforts to enhance hands-on, or experiential, learning, and community outreach. All the while, NGSA members rushed to tally the judges' scores and popular votes. 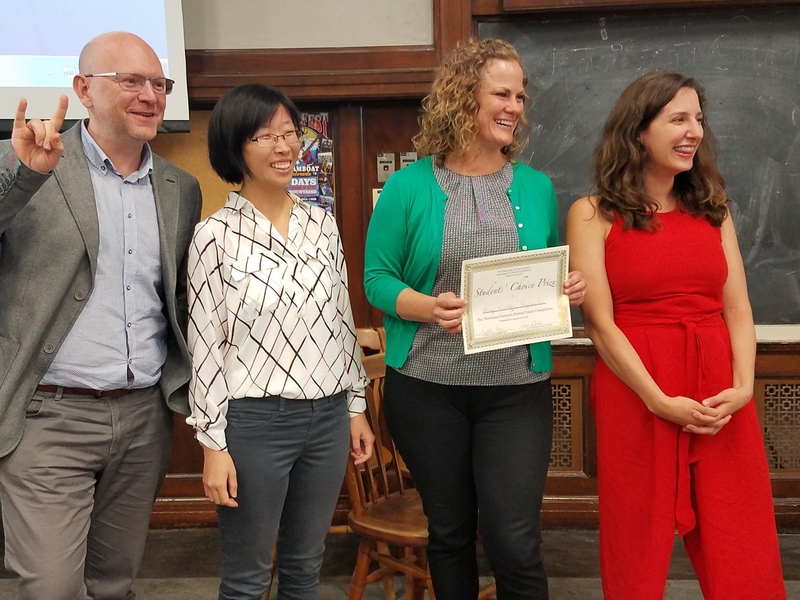 In the end, four undergraduate students receivedWinners of the Poster Presentations recognition for their performance scores: Maalini Bommakanti, Elizabeth Eichman, Christopher Hsu, and Peyton Travis. 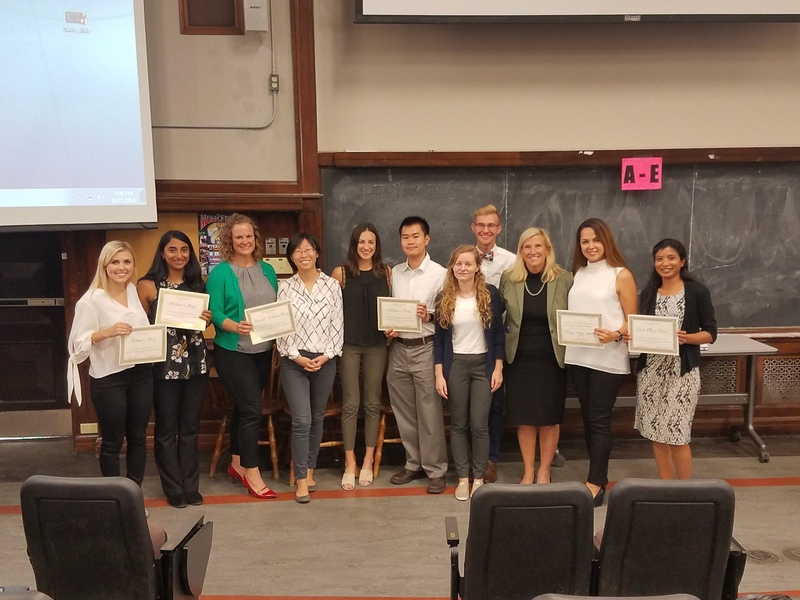 Among the graduate students, Amy Kweller and Xiyuan Li won the popular vote; Brittany Harlow, Matthew Landry, and Sarvenaz Vandyousefi tied for second place; and NGSA President Vasavi Shabrish secured first place. The day's festivities closed in a way only fit for the Nutritional Sciences program—with food and drinks in a faculty meeting-happy hour fusion. Brittany Harlow is a current doctoral student at the University of Texas at Austin in Nutritional Sciences. She is currently completing her doctoral work and doing research in the lab of Dr. Linda DeGraffenried.